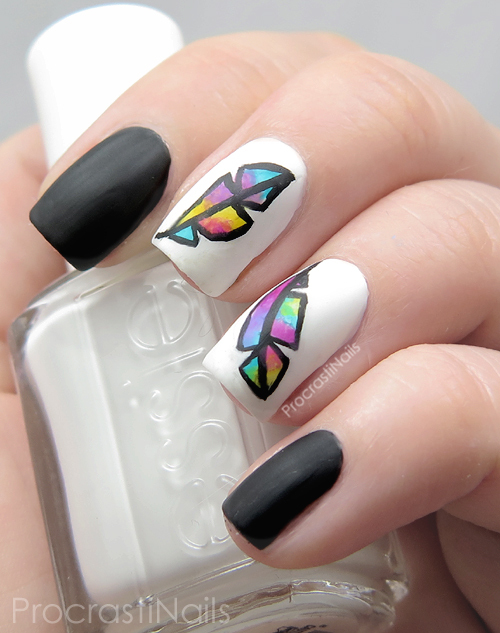 I started off with a base of Essie White Page on the fingers I wanted the design on, and used Sinful Colors Black on Black for contrast on the other two. 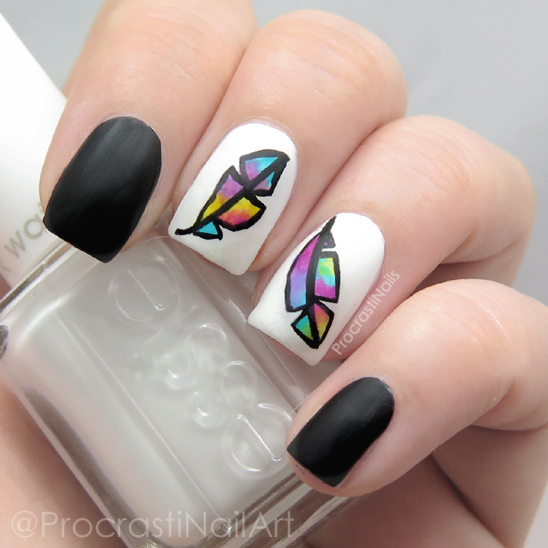 I then used black acrylic paint to carefully freehand the outline of my feathers, and then shaded them in with a tiny paintbrush and my Essie Silk Watercolors. Another layer of black acrylic to darken the lines and cover any polish that got on it, a bit of cleanup with acetone, a layer of glossy top coat (to seal) and then matte top coat to finish and it was done! Super pumped with how this turned out. My freehand game could really use some work but I think this is a step in the right direction, just gotta keep working at it! Let me know what you think, and thanks for visiting! Your rainbow feathers look so cool! I seriously love this! The feathers look dope! This is absolutely glorious! Very neatly done, impressive! I would hang this on my wall. Ooooooo this is great! So glad you matted it! I wish I had your free handing ability - this is pure magic! 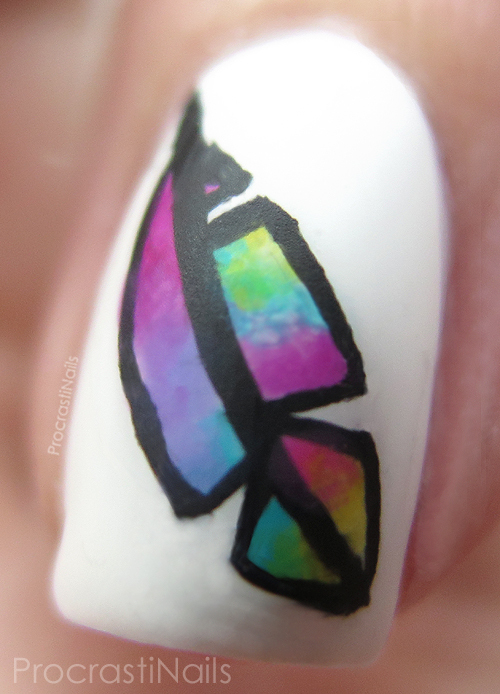 Your freehand ability is definitely on point! Love! 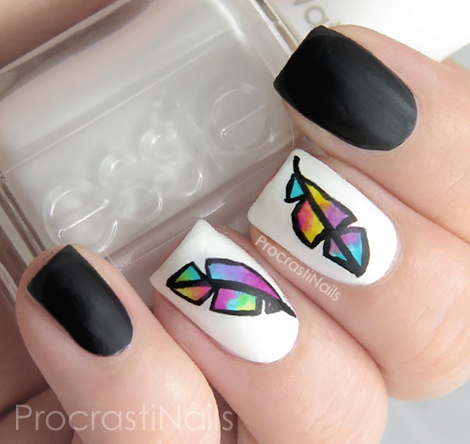 The feathers are super pretty! I just can't freehand at all! You did these FREEHAND? That's amazing! I don't have any tips because I'm not good at it at all, I need to get tips from you!